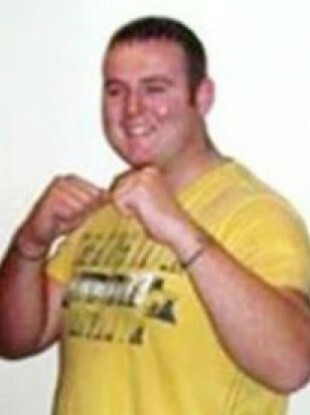 Allen had fled to Donegal after be became the target of a republican vigilante group. IN FEBRUARY 2012, Derryman Andrew Allen was shot dead at his home in Links View Park, Buncrana, Co Donegal, in front of his partner. Gardaí have said that the 24-year-old had moved to Donegal after he became the target of the vigilante group Republican Action Against Drugs in his native Derry. The dissident group claimed responsibility of the murder. Now, five years after his murder, gardaí have again made an appeal for anyone with information to come forward. They said in a statement: “To date a number of people have been arrested and questioned in connection with the investigation. Gardaí believe that a number of people were involved in planning this murder and subsequently sheltering the killers involved. Throughout the investigation, gardaí have worked closely with the Police Service of Northern Ireland. Anyone with information is urged to contact the incident room at Buncrana Garda Station on 074 93 20540 or use the Garda Confidential Telephone Line 1800 666 111. Email “Gardaí believe killers are being 'sheltered' in 2012 murder in Donegal”. Feedback on “Gardaí believe killers are being 'sheltered' in 2012 murder in Donegal”.